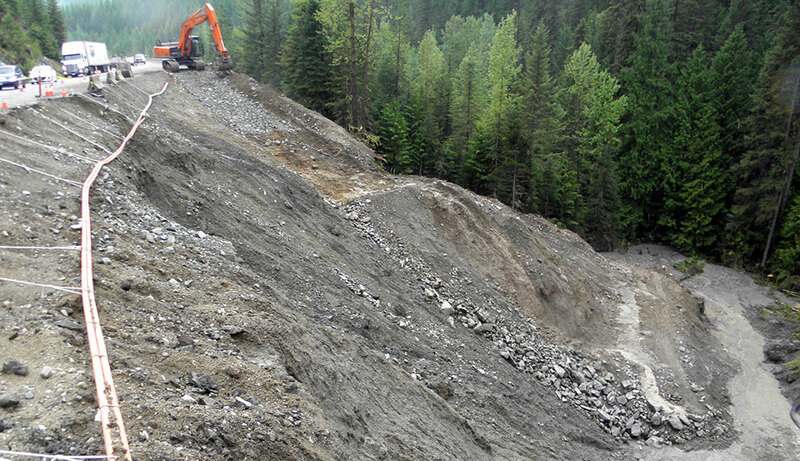 Paulson Slide | Austin Engineering Ltd.
Part of Highway 3 between Castlegar and Christina Lake BC was washed out due to heavy precipitation, reducing the highway to single lane traffic. Austin Engineering Ltd. completed a geotechnical assessment of the area and provided geotechnical support to the Ministry of Transportation and Infrastructure to ensure the highway could reopen safely. Highway 3/Paulson Pass near Christina Lake, BC.